Liquid makeup shouldn't turn you into a ghost. While liquid makeup can instantly erase most skin flaws, it can also become a flaw itself if the color is wrong. Skin-color changes throughout the year can lead to some unfortunate makeup looks; the makeup shade that looks great in the winter months can create a ghostly pallor in summer. 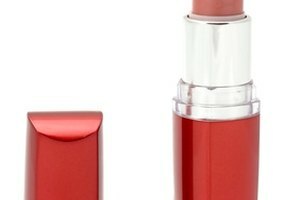 If you'd prefer to not buy bottle after bottle to find your perfect hue, a few mixing tricks will darken your liquid makeup without breaking the bank. Determine your skin undertone so you will know how to best darken your liquid makeup. Put on a white bathrobe or white clothing and wrap your hair in a white towel so that you can only see your skin. 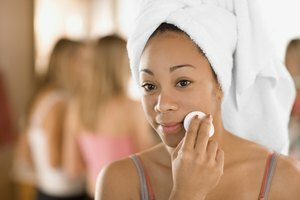 Stand in front of a mirror and determine if your skin looks more yellow, blue or green. Open the bottle of liquid makeup and pour it out into a bowl for easier mixing. Add a powdered or liquid bronzer to the bowl if you have brown skin. Add turmeric powder if you have yellow undertones. If you have blue or pink undertones, add loose pink-brown blush. You can also simply add a darker liquid makeup if you have one on hand. 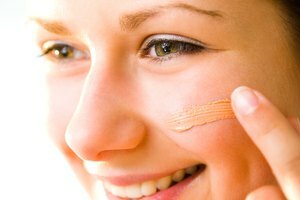 In general, you will add one part darkening liquid for every four parts of foundation; turmeric powder requires only a very small amount be used. Mix the contents of the bowl well using a small makeup brush. Test the makeup shade by applying a small stripe to your jaw line and examining it in the mirror. If the makeup is still too light, add more colorant just as you did before. Continue adding color and testing the makeup until you achieve a shade that perfectly matches your skin tone. Pour the newly mixed makeup into a small cosmetics jar for storage. You can also pour it back into the original jar, if applicable. Instead of actually mixing the liquid foundation to make it darker, you can also wear bronzer on top of it. Simply apply the light foundation as normal and then apply a light dusting of bronzer on top of it. 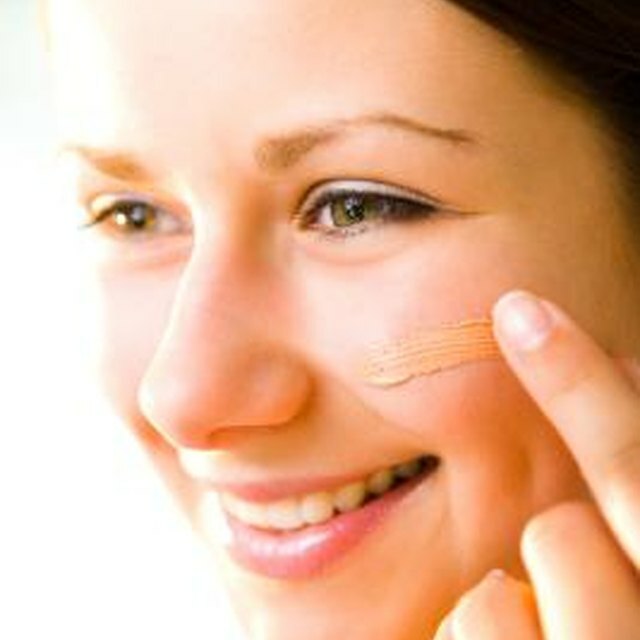 If desired, you can mix the foundation on a daily basis instead of darkening the entire bottle. To do this, apply two to three drops of makeup to your hand and slowly add the darkening agent until you achieve the proper color. 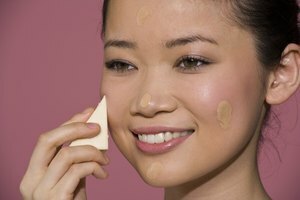 Style Craze.com: Is Your Foundation Too Light? Here Are 8 Ways To Fix It! Johnson, Kimberly. "How to Darken Your Liquid Makeup." Synonym, https://classroom.synonym.com/darken-liquid-makeup-12030.html. Accessed 18 April 2019.